...and here she is!!! 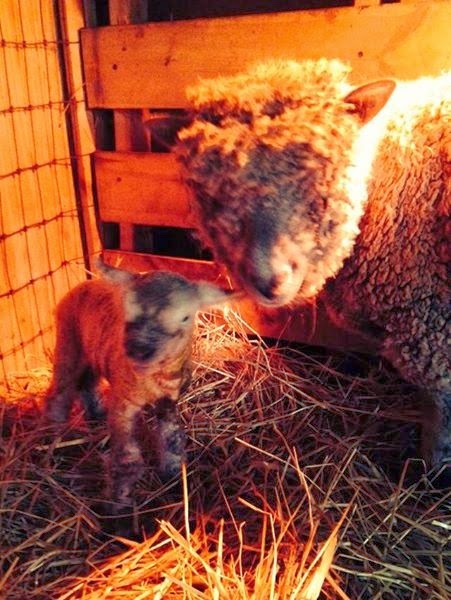 We were so surprised to see this little one, I was secretly wishing for a white healthy little ewe and that's what Daisy had!!! She is beautiful, adorable and quite personable already! 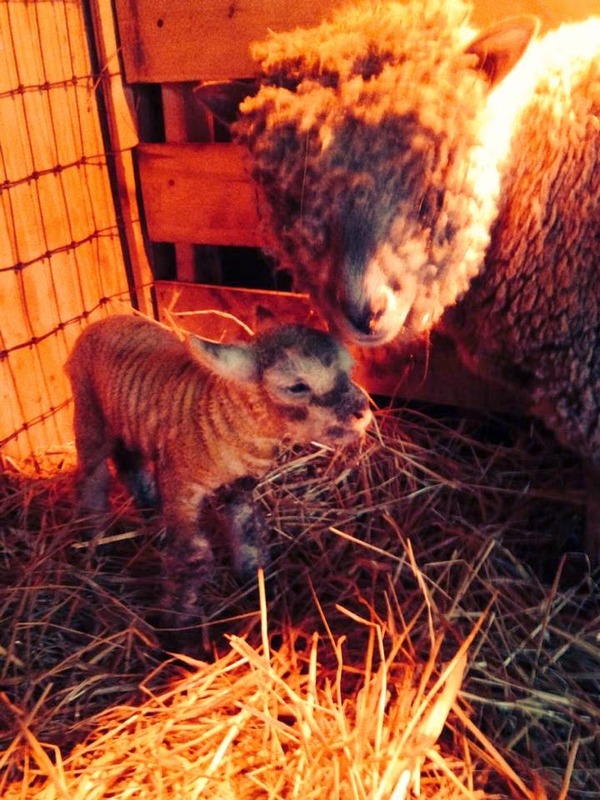 She comes to us as the 5th generation of our line of Olde English "Babydoll" Southdown sheep! Welcome little one! Congrats on the Babydolls, Happy April, Francine.